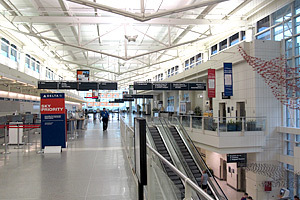 CHICAGO – Midway International Airport on Chicago’s southwest side is notorious for its long security lines and hectic atmosphere. 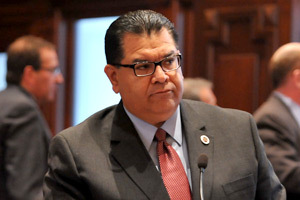 Its proximity to Chicago causes it to be one of the busier airports in the nation, making it a focal point in State Senator Martin Sandoval’s (D-Chicago) district. According to reports, Midway will soon be getting a major facelift thanks to a $240 million renovation project taking place over the next few years. Under the plan, the airport will be increasing the number of security checkpoint lines to 27 from 17. The current layout of the airport forces a wide lane of traveler traffic to condense into many different smaller lanes, which increases the wait time. It will also be adding a significant amount of concessions and storefronts to the terminals and main food court. Furthermore, the capacity of the parking garage will be increased by approximately 1,000 spaces by adding four new levels. The city will begin accepting bids for the project later this year, and will start advancing the proposal through the City Council in 2016. 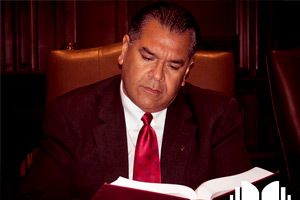 CHICAGO- Area residents had a chance to sit down face-to-face and talk about their concerns with Senator Martin Sandoval (D-Chicago). Illinois is trying to get out of a $6 billion dollar deficient that has put education, public safety, social services and other services at risk. Sandoval's main goal was to listen and get a better understanding on how the cuts impacted residents and to offer solutions. "As a senator, It's my job to not only talk about what I want to change, but to also actively go to the different businesses and neighborhoods to hear from the people living there what they need improved," Sandoval said. 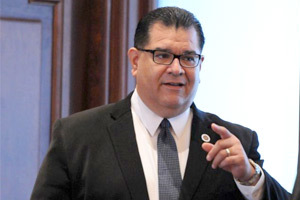 Earlier this week, Sandoval visited community groups, businesses and residents within different neighborhoods -- Gage Park, Brighton Park, McKinley Park, Garfield Ridge and the Southwest side of Chicago -- to get their feedback on social services, economic development, education, jobs and public safety.